Please join us for the first East Coast presentation of State of Incarceration (2010-ongoing) by LA performance group the Los Angeles Poverty Department (LAPD). Performance Dates: January 31st and February 1 at 7:30pm, and 5pm on Sunday, February 2, 2014. The Sunday performance will be preceded by a gallery talk with curator and artists beginning at 3pm. All performances are free and unticketed. 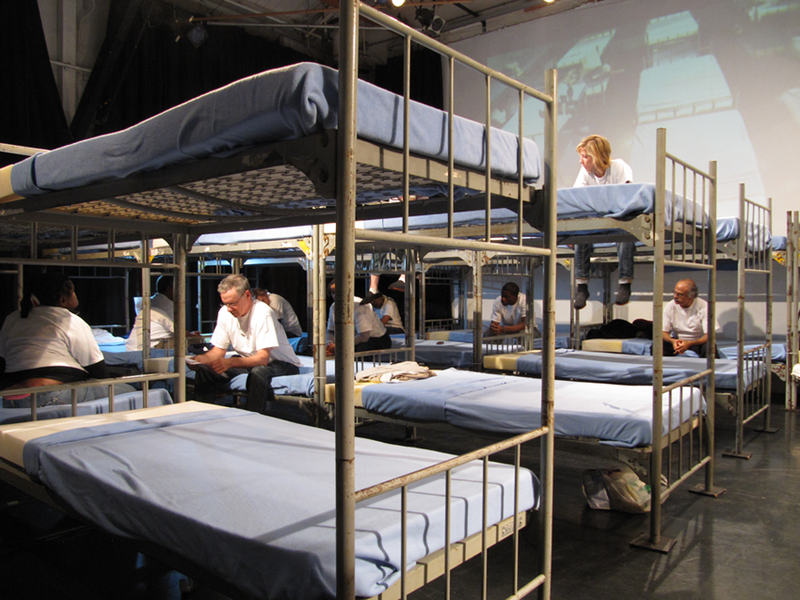 In a performance space filled wall-to-wall with prison bunk beds, performers and audience share overcrowded conditions akin to a California state prison. One-third of the state's parolees settle in the 55 square blocks of Los Angeles known as Skid Row, and State of Incarceration"developed collaboratively by LAPD's Skid Row artists and in dialogue with organizers and recent parolees"powerfully examines the consequences of California's penal system on individuals, families and communities. Outlining a ritual of incarceration from entry to release and re-integration, State of Incarceration constructs a complex challenge to the societal perceptions and fear-based policies of a nation with the highest rate of incarceration in the world. State of Incarceration's 60 prison bunk-beds will be installed in 1200 feet of gallery space along with video excerpts for the duration of the exhibition. LAPD's large State of Incarceration cast will be in New York for a week of performances and residency activities. State of Incarceration is staged as part of Do You Want the Cosmetic Version or the Real Deal? : Los Angeles Poverty Department, 1985 " 2014, an exhibition on view at the Queens Museum through May 11. Do you want the cosmetic version or do you want the real deal? Los Angeles Poverty Department, 1985-2014 is supported by grants from The Andy Warhol Foundation for the Visual Arts and National Endowment for the Arts. 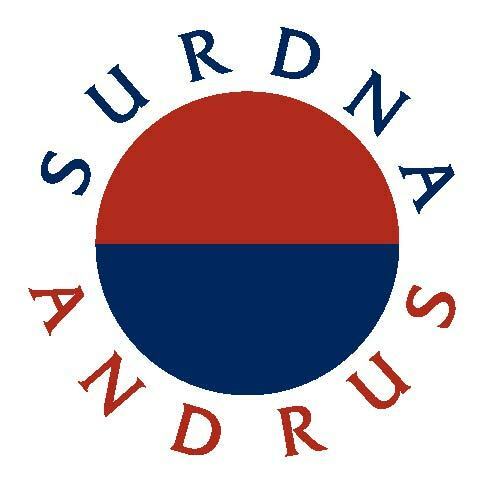 Project funding also provided by Surdna Foundation and Institute of Museum and Library Services. 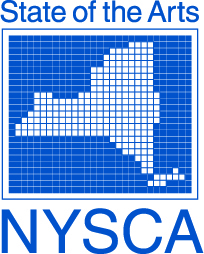 Additional support from the New York City Department of Cultural Affairs and New York State Council on the Arts with the support of Governor Andrew Cuomo and the New York State Legislature.